DELAWARE, OH – Today, Blue Horseshoe Ventures and Tony Sekulovski filed a lawsuit against David Glimcher and his newly formed companies following Glimcher’s false public claims that he is somehow the owner of the entertainment project slated for the intersection of I-71 and Routes 36/37 in Sunbury, Ohio. The complaint and numerous exhibits, filed in the Delaware County Court of Common Pleas, make clear that Tony and Alex Sekulovski are the sole owners of Blue Horseshoe Ventures and that David Glimcher has never had any legal interest in the company. Furthermore, the evidentiary exhibits filed with the court show that Blue Horseshoe Ventures is the legitimate party to the signed contracts with third parties to purchase the land and develop the entertainment complex. 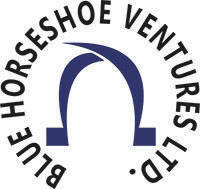 The lawsuit seeks a declaratory judgment – a judge’s order verifying the legal rights of a party — that Blue Horseshoe Ventures is owned by Tony and Alex Sekulovski and that they alone hold all legal rights and obligations to purchase and develop the properties in both Sunbury and another project in Gahanna, Ohio. The lawsuit also alleges that Glimcher committed fraud and violated his legally-required fiduciary duty when he secretly drew up a 1-page document and tried to improperly transfer the rights to the Sunbury and Gahanna properties to himself in return for the purported payment of a dollar. Glimcher attempted this despite having no ownership interest or authorization from Blue Horseshoe Ventures or its owners. Information for this story was provided by Blue Horseshoe Ventures.